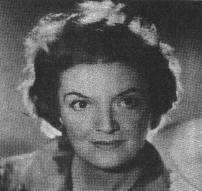 Laura Huxley, in her classic 60's book, "You Are Not The Target" spoke of an some elemental force of negativity unique to us all, which she called 'the ghost.' (It was a sad or ugly voice from the past that made itself felt as a PANG. You'd wince and feel the negative emotion start up in your heart chakra or stomach and all the baby feelings of insufficiency would fill you up with angst. LAURA wrote that we only get sight of our ghosts occasionally, usually in a wisp of a moment where some unseen, icy hand tugs peripherally at our heart chakra, and thru it, our minds. We become fearful, fitful, depressed, apprehensive that things won't work out. We do our laundry list of things we NEED to do nervously, as the adrenalin of pain prompts us to run, run run. DO. DO! Stay BUSY. Juggle things, Distract ourselves from feelings and instead, THINK THINK THINK ! The pain of the ghost is caused various ways: a sense of not being efficient, not being hard working, lack of self image. We are certain we're guilty of not doing enough. And we blame the lack of a career or sweetheart on our own deficiencies. We thusly brand ourselves a loser. We tell ourselves that we've lost our attractiveness. That it was that PIE last night or that week of little sleep when we were obsessing, and now we've sunk into old age. So we program ourselves negatively OUT of these feelings of guilt. That starts a cycle of binging, self-punishment, brooding in our unworthiness, having thoughts that we are not going to get something we very much need, important to us. Fame, success, beauty. This kind of weighty angst will chill us! Render us paralyzed. Fear cuts at our creativity like a knife. When something hurts this intensely, humans don't linger on the thought. We usually block it out with an instant, involuntary deadening of the heart.Over the years, we become toughened to all feeling by blocking. We are not empathic to our friends, children or pets. Without even realizing it, we blurt out things that hurt them, or we just ignore their needs. Sigmund Freud gave us several words for this process: blocking was the verb, cathected the adjective and denial the noun. Freud said the blocking action this was costly in an emotional sense. This deadening meant emotions, energies and powers were 'cathected.' A lot of our psychic energy would go to the blocking. This continual process of smashing subliminally bothersome, painful thoughts makes us 'bound up,' dead, cold. Freud found that in therapy, when he could get people to confront the issues and banish the blockages, people became free, more energetic, joyful, authentic and subsequently, effective and powerful. Not having a bright shrink by our side, to talk things out, we block the inner neurotic. We use food, alcohol to shut him up, to go unconscious. There are other sensual, delightful, distracting, relaxing things that work: tobacco, which gives not only our mouth but our hands something to do, which draws the mind elsewhere. Chewing gum is another or talking on the phone. There probably is some exact formula about stress versus nerve strength, not unlike the amount of electricity that can be poured through a copper wire. It has to do with the degree of muscular tension multiplied by the amount and degree of unconsciousness times the size of the fear at the bottom of the dark tunnel. A science fiction writer named L. Ron Hubbard invented an e-meter to measure your galvanic skin response when a charged item was mentioned to you, and invented Scientology to charge beaucoup for doing that measuring how many megahurtz of shock you go into when your worst fears are mentioned --- but that isn't the point. The point is that extreme cases of aversion involve complete blocking of memories of painful events. There are numerous reports of children who have been abused who have no memory of certain painful parts of their childhood. Other extreme cases involve cataclysms where people don't remember what happened.Yet many will seek to 'repeat' that experience of abuse through the people they befriend, as if that could 'cough' the whole thing out of their system. And they enter into a pattern of picking risky relationships and outright abuse. Intense hostility shown unexpectedly to people who are either actually or symbolically, guilty of nothing more than reactivating primary fear content is more likely in the lives of ordinary neurotics. Primary fear is the monster at the end of the hall. The woman who suddenly has all the powers over the man who loves her. Or the father figure who doesn't really want the daughter whom she is doomed to seduce and court the rest of her life. The primary fear can be not being loved, not being taken care of will drive the demons within and make them surface. For some of us the monsters are authority figures, whether the boss, the loved one, the teacher and classroom or maybe it's the danger of the city streets. In each case it's dangerous things out there, seen as 'out of our own power and in the hands of the 'fates.' But the helpless feelings of fear that we endure make us seek to avoid the conflict entirely. We will not let ourselves love entirely. We will not go to work. We will not study in school. We will not drive a car. We become phobic to some degree. Then, there are social fears of not being accepted, which have given rise to the party cocktail as a 'pick me up,' from which we go home convinced people love us. And sometimes we drag home strange people who actually will. For primitive man, the weather, crops, sun, rain, water, floods, lightning, snakes, spiders, jaguars, comets, earthquakes and scarse hunting all were feared enemies. To fight the shakes they gave, the neanderthal needed rites, masks for dances, paintings of meat on the hoof, on cave walls, with man harpooning them easily. He needed ritual sacrifices, that won the favor of the Gods. In our times, not obtaining the beloved, the Beamer or the dollar bill is the enemy. To fight this fear, paintings, rites and dances no longer work. We have mascara, high heels, breast implants, and red sportscars but we are no less compulsive and talismanic, than our ancestors' war masks and fire dances. In the face of modern fears about sturdier enemies than boar such as lack of movie star looks, lack of serious cash, homelessness, disease, the uncertain elements of our personal lives, --- in the face of these multiple fears, we have discovered certain unfailing comforts: coffee and sugar for cerebral activity and energy to move. Food or drink to relax us, make us socially effective, help us forget our fears or enable us to sleep. Drugs, for ecstasy. Talking on the phone, movies and t.v., CD's /videos/ and the internet to distract us, smoking to chill our various hungers, keep us from loneliness. The constant use of all the distractions obliterates the possibility of our ever 'laying the ghost. ', Huxley's term for permanently removing the trigger. So to trap the feared monster, we must create a pathway, a clean runway for the monster to fly in on, and land upon us and CROW LOUDLY, so that we can net him and thusly apprehended by the neck, drag him forth and banish him permanently. SO take the pain back to the original time in the crib when you called for Mom and there was no MOM. Just this endless delay in your getting food and love and reassurance. WAYS TO LAY THE GHOST. 1.) Go on a food/vice and people fast. All at once. That makes all our internal voices talk to us at once. It's going to bowl you over, too. You will need a distraction FAST. A smoke, a piece of chocolate, a huge, heavy meal, a drink, not allowed. You crave a friend or a phone call. Not allowed as you are on a people fast too, so NONE of it. 2.) Visit a nature spot by yourself. Baby feelings arise, when you're alone as a lot of baby fears are involved with being alone. 3.) As they come up, make a list of your worst baby fears so when one pops up you can catch it right away and realize you were had by a Halloween spook,sham horror. 4.) I can't remember what else Laura Huxley recommended and the book she wrote is buried in my garage. I guess I have to cough up a buck at ABE BOOKS and find a copy, used.) Maybe you'd like to do that, too. And while you're at it, get the books written by her HUSBAND. 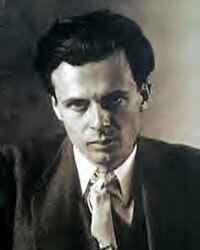 ALDOUS HUXLEY.